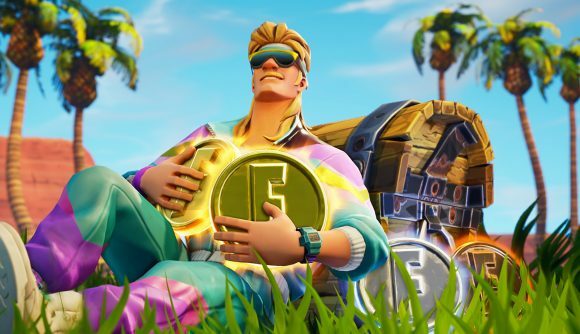 Fortnite might have turned developer Epic Games into a near-household name (and made its founder and CEO Tim Sweeney several billion dollars richer than Gabe Newell), but it's not necessarily doing much for the company's customer service reputation. The Cary-based gaming company Epic Games is coming under fire from the Better Business Bureau (BBB), WTVD reports. The BBB allegedly granted the rating due to unanswered customer complaints, stating that 279 complaints have been filed against the business, but 247 have gone without a response - 271 complaints have been filed within the a year ago alone. Those that did receive responses were matters surrounding "glitched" games, issues with linked accounts, a few fraudulent charges, and responses to cheating allegations with specific tools that were likely better suited to the game's support team rather than the BBB. Per Kotaku, an Epic Games spokesperson says it has addressed complaints on its BBB page, though the company simply did so through its own communication channels. The Eastern North Carolina Better Business Bureau lists 271 complaints made against Epic Games in the past year. Currently, "Fortnite" is enjoying a staggering amount of success, which is what almost if not all of the company's complaints stem from. It's important to note, however, that Epic Games is not BBB accredited, meaning Epic has not paid the BBB an accreditation fee. Variety reached out to the bureau, which declined to comment further on the matter at this time.